The N219 multi-role, twin-turboprop utility aircraft took in to skies for the first time in August 2017. The N219 aircraft has a maximum take-off weight of 7,030kg. The aircraft is equipped with two Pratt & Whitney PT6A-42 turboprop engines. 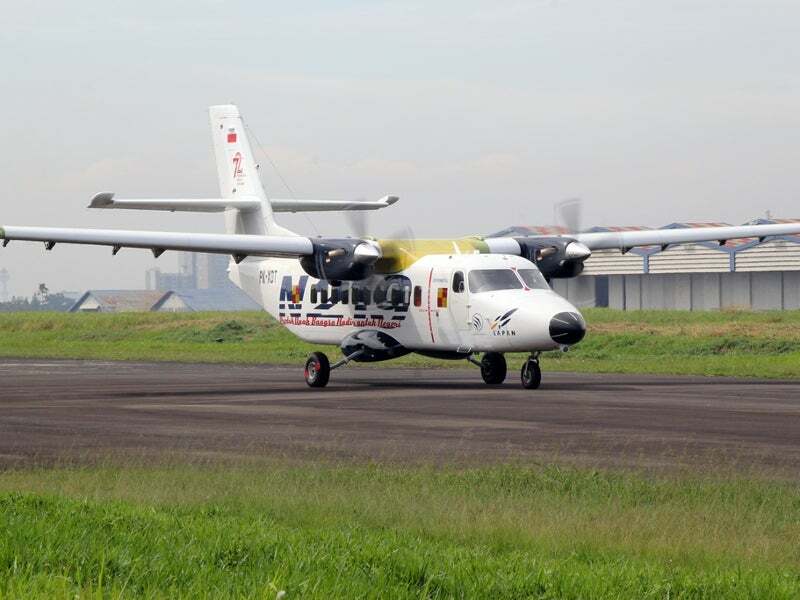 N219 is a multi-role, twin-turboprop utility aircraft being developed by PT Dirgantara Indonesia (PTDI) and National Aeronautics and Space Agency (LAPAN) to meet the requirements of defence and civilian customers. The multi-purpose aircraft can be used for passenger, troop and cargo transportation, medical evacuation (MEDEVAC), search-and-rescue (SAR), surveillance and patrol missions. The aircraft made its first flight at Husein Sastranegara International Airport in Bandung, Indonesia, in August. The N219 is a fixed-wing monoplane integrating a high-mounted wing structure, a box-shaped fuselage, and a conventional tail configuration. The multi-purpose aircraft is equipped with an efficient power-plant, advanced avionics suite and fixed tricycle landing gear. It is designed to deliver technical and economic benefits to the operators. The aircraft has an overall length of 16.7m, height of 6.2m and a wingspan of 19.5m. The wheel track and ground clearance of the aircraft are 3.7m and 0.7m respectively. The N219 is capable of carrying loads up to 7,030kg at take-off and 6,940kg on landing. The operating empty weight of the aircraft is 4,039kg. The maximum payload capacity is 2,300kg, while the maximum fuel payload capacity is 1,600kg. The N219 cockpit accommodates two crew members in a side-by-side seating arrangement. It is equipped with the Garmin G1000 avionics suite, integrating a primary flight display (PFD) and a multi-function display (MFD). The high-resolution displays present flight instrumentation such as an airspeed indicator, altimeter, heading indicator, and a course deviation indicator, along with navigation, weather and terrain data, and traffic and engine information. The avionics suite also includes a GRS77 attitude and heading reference system (AHRS) and can be integrated with a Class-B terrain awareness and warning system (TAWS), as well as built-in terrain and navigation databases. The flight-deck can be incorporated with a GWX 68 digital colour radar, GDL 69/69A data link receiver and synthetic vision technology (SVT). The aircraft offers a spacious cabin with the biggest cross-section in its class. The un-pressurised cabin measures 6.5m-long, 1.7m-wide and 1.7m-high. It offers a baggage storage volume of 3.80m³. The cabin can be easily configured to meet the special mission requirements. It can be installed with forwarding facing seats and side facing seats for passenger and troop transportation respectively. The cargo transport configuration can support the carriage of three D2 containers or three pallets. The aircraft also features a wide cargo door with a length of 1.45m and width of 1.5m, which will enable the operators to perform rapid loading / offloading of cargo. It can be integrated with stretchers for patients and seating arrangement for medical staff, as well as medical equipment, in the MEDEVAC configuration. The aircraft is powered by two Pratt & Whitney PT6A-42 turboprop engines driving two Hartzell four-bladed metal propellers. Each engine develops a maximum power of 850shp. The power-plant ensures operations in hot and high conditions. The aircraft requires a take-off distance of 455m and a landing distance of 493m. It can take off from short runways and perform take off and landing on unpaved surfaces. It has an economical cruise speed of 190kt and a stall speed of 59kt. It can climb at a rate of 1,938ft per minute to reach its operating altitude of 10,000ft. The maximum cruise speed of the aircraft is 210kt. It can attain a range of 149nmi at maximum payload and fly to a maximum range of 831nmi with a full fuel load on-board.